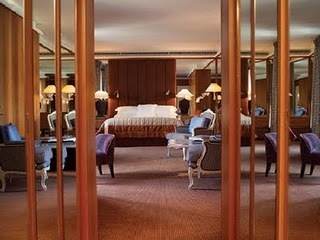 Imperial Suite, Par Hyatt-Vendome situated in Paris. 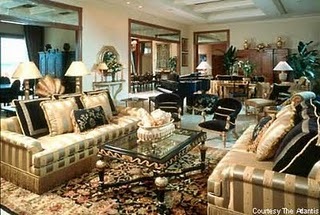 The suite is one of the most expensive hotel suite in the world. Its per night cost is $15,500. 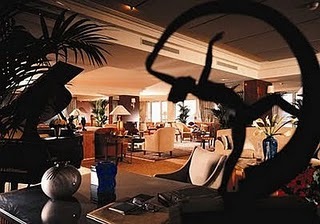 Four Seasons George V hotel comprises of 256 grand rooms with 600 operational employees. 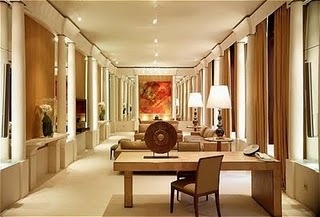 The Royal Suite at Four Seasons George V will cost $16,000 per night. 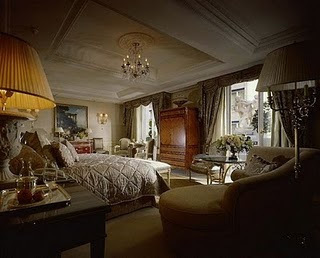 Royal Armleder Suite at Le RichemondIt five star hotel’s per night cost is $17,500. Burj Al Arab is one of the tallest hotels in the world located in Dubai, Arab Emirates. 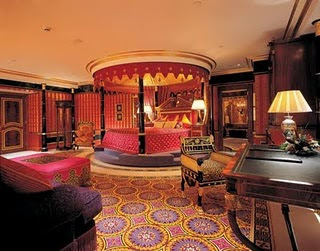 The Royal Suite at Burj Al Arab will cost $18,000 per night. The Ritz Carlton hotel chain located in Russia and its per night cost is $18,200. Bridge Suite at Atlantis located at Atlantis Paradise Island. The Bridge suite has 10 rooms and will cost $25,000 per night stay. President Wilson Hotel located in Geneva, Switzerland. It is one of the most expensive hotel in the world. 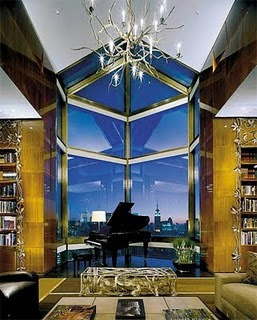 Royal Penthouse Suite at the Hotel will cost $33,000 per night stay. Four Seasons hotel located in USA. It was established in 1989. The hotel is 52 storeys tall. Tray Warner Penthouse will cost around $34,000 per night stay. Palms Casino Resort is one of the top ten hotels of the world. High Hefner Sky Villa will cost $40,000 per night stay.